Went out to test the new tires. They worked really well, but were no match for icy tire tracks and down I went again. I lost the plastic tabs from the left front fairing that connect the fairing to the bash plate. The bash plate also is now missing a tab. The crash also bent the left side hand guard, but that was quickly fixed by bending it back to shape in a vise. The damage would most likely been avoided if I had crash bars installed… which I recently did not recommend… I’m now reconsidering….  Previous Post Honda CRF 250 Rally tire choices – help out and submit yours! My bashplate looks exactly like yours now. Looks like it doesn’t affect the rigidity of the construction. I have had a number of dismounts since then without any further damage. As for crash bars you never know how they going to play out until you crash. Usually they bend in the weakest spots (welding) and damage the bike on their way. About to pick up this biek and have been researching crash bars. Apart from the T-Rex options (Which look like you cant use a bash plate) what are the options? What about frame sliders and additional bar ends to help keep the fairings clear? Don’t do it if you like your legs. It’s not uncommon when you ride offroad that the bike ends up on you. What would you prefer to land on your legs, a plastic cowl or a frame slider? I like my legs more than I like the bike, so I ride stock.